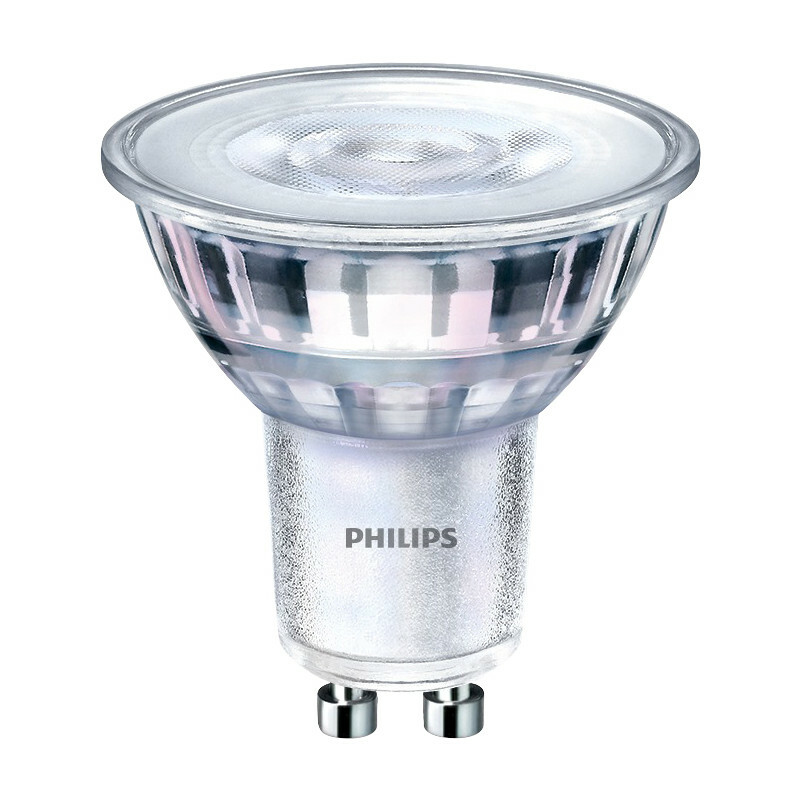 Philips LED GU10 Dimmable Glass Lamp 4.4W Warm White 250lm is rated 4.7 out of 5 by 11. Rated 4 out of 5 by AndyP63 from Work as expected Bought these for my bathroom after fitting a dimmer switch. Work perfectly. I would describe them more as a warm orange colour not white. Not the brightest but ideal for light in a bathroom. Rated 5 out of 5 by philwell from Good replacement for a non LED bulb For those who like the colour of a traditional halogen bulb but want one which uses less power, this is the one for you! Rated 5 out of 5 by p greeny 53 from Good Product I needed dimmable gu 10's these are just the job.